BLUE MOUNTAINS - (Full day) --- Lunch & Featherdale Wildlife Park included --- A minimum of 6 Adults per Tour. - English Speaking Tour only - On request. Discover Australia’s “Grand Canyon” in the breathtaking Blue Mountains. Over 400 million years old, stretching for over one million hectares it is an inspiring mix of rainforest, canyons, tall forest and sandstone cliffs. 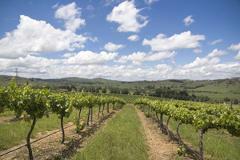 HUNTER VALLEY VINEYARDS - (Full day) --- Lunch, Wine Testing & Reptile Park included. A minimum of 4 Adults per Tour. - English Speaking Tour only - On request. 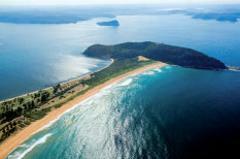 NORTHERN BEACHES - (Full day) --- Lunch included. A minimum of 6 Adults per Tour. - English Speaking Tour only - On request. See the historical sites of Sydney and the views of the harbour before discovering the hidden jewel of Sydney, the Northern Beaches. Discover Pittwater’s boating paradise, a popular holiday destination with Sydney siders, surrounded by unspoilt bushland of the ku-ring-gai Chase National Park and magnificent waterways. 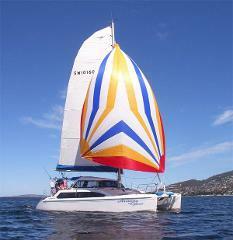 SYDNEY HARBOUR CRUISE - (Full day or Half day) Private charter cost from: $2,125.00 (34' Catamaran) - On request - Catamaran 66’ Motor Cruiser (35 to 100 people) Cost: Request a quote. Explore Sydney Harbour, the finest harbour in the world, and the “jewel” of Sydney, providing secret hideaway beaches to bush covered headlands and an imposing city skyline. 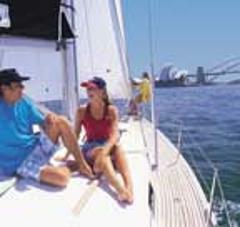 City and Bondi Beach half day tour (4 hrs).- A minimum of 6 Adults - English speaking driver / guide - On request. The tour starts at modern Australia's birthplace, the Rocks. Flanked by the Harbour Bridge and the stunning Opera House, We'll show you all the highlights this beautiful city has to offer. City and Bondi Beach half day tour (4 hrs).- A minimum of 4 Adults - English speaking driver / guide + Sydney Harbour Lunch Cruise ( 2 1/2 hrs) - On request.